So recently I've been trying to get up to speed on the fourth edition of Legend of the Five Rings (see the review here) and as a result I've been going through all the books for the game line. Now all apart from one book is available in regular stores in hard copy, and that one book missing is the PDF only Strongholds of the Empire. 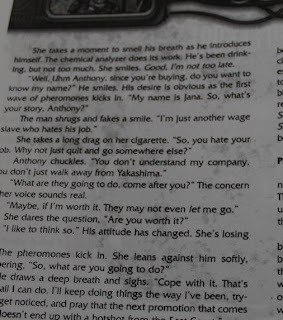 The product, to my knowledge, is only available on DriveThruRPG so over I head to pick it up. I was aware vaguely before that DriveThru do Print on Demand these days on a number of products and I upon looking noticed that Strongholds was one of those products. Hmm, $19.99 for the PDF only or for $49.99 I can get the PDF and a hardcover full cover POD copy as well. Sometimes my willpower is only so strong. Still I decided one product wasn't enough so I began combing through their POD enabled titles to see what else I could grab in order to make the shipping costs more acceptable (amazing how the human brain can convince itself into an illogical argument, if I buy more then the shipping per item won't be so bad so I'm saving money.) Looking through the lists there was a huge selection of White Wolf products from their old World of Darkness, but they're not something I'm after. Eventually I came across Gamemastering by Dominic Wasch, a book I'd been looking for for a while but unable to find in the normal distribution, $19.95 for the PDF plus a POD soft copy. One down. 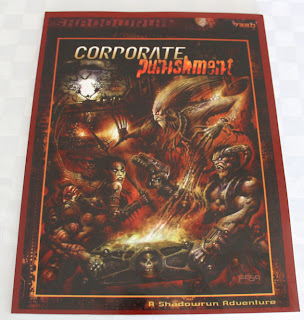 Next up was Corporate Punishment for Shadowrun. 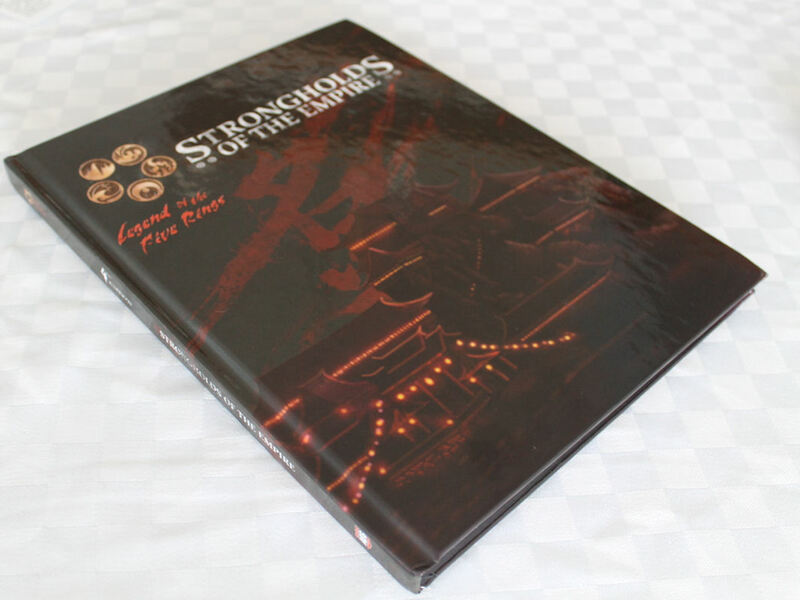 I'm a Shadowrun collector and this is one of the books missing from my collection, but $9.99 for the PDF and a soft copy, sold. I decided to stop at three. So anyway order placed and I wait. My delivery comes in two separate packages, Gamemastering and Corporate Punishment in one and about a week later Strongholds turns up. All books were printed by Lightning Source in the UK, which I thought odd since I'm in Canada and assumed they'd come from the US. But onto the books. Corporate Punishment. This one isn't so clean. Printed on what seems like decent stock printer paper the book hasn't been trimmed. There is white space around the interior pages above the page headers and the cover has a red band around the outside of the cover image. 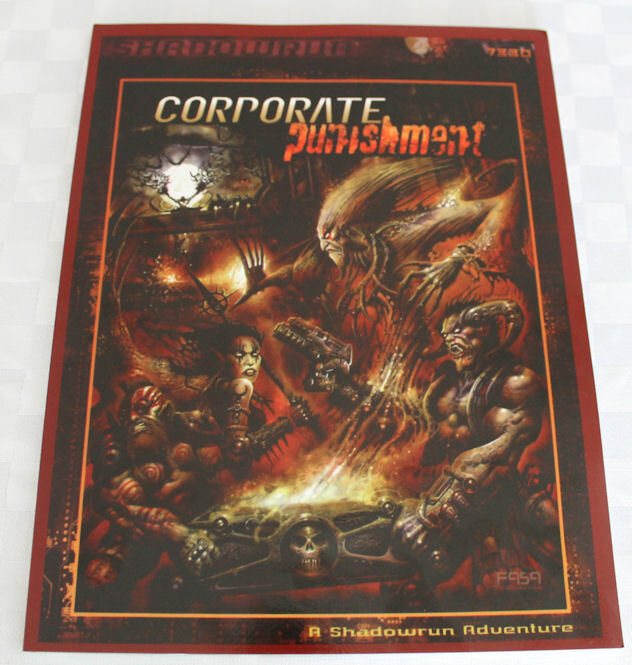 It seems a bit odd as the paper size is the same as the regular Shadowrun books from the time period of the original book, but looks like they've printed it on a regular laser printed with margins on the paper. 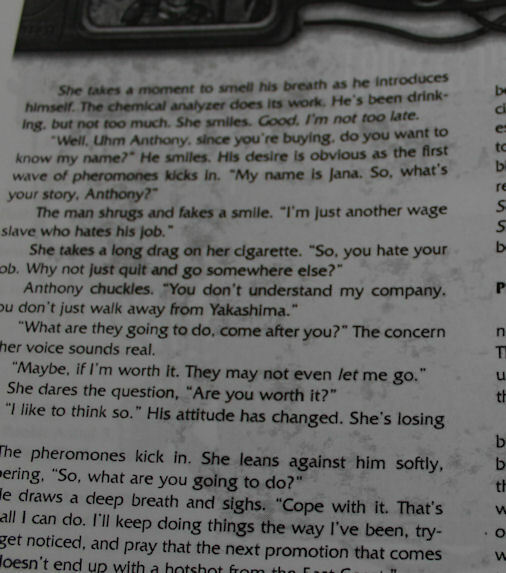 The printing quality isn't as good as the Gamemastering book either, with the text being slightly blurry in some places upon close examination. Additionally images with a lot of dark in them have a tendency to bleed through slightly to the other side of the page. Not enough to cause any problems with readability but it's noticeable. In this case it's unfortunately fairly obvious it's a PDF made for regular screen use and sale that's just been printed doing the same job as if you'd printed it at home, which is slightly disappointing. It's still good to have it in my collection now, but after the Gamemastering book it's a let down. Strongholds of the Empire. The first word I'll mention on this is wow. The second is wow. Seriously this book is impressive. If I hadn't ordered it myself I wouldn't have known it's POD. Hard cover, full colour with image bleeds right to the edge of the page. 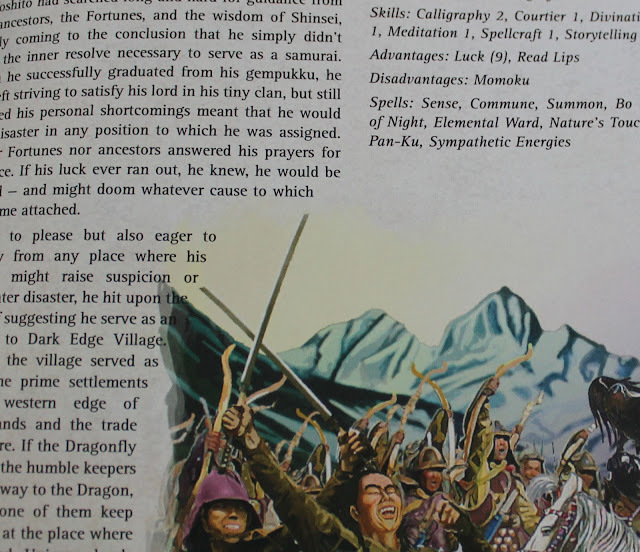 The paper is heavier stock than the rest of the L5R line, but that's not a bad thing. The cover, well finished and glossy (which is an unfortunate contrast to the matt finish to the rest of the line) and a joy to behold. The interior text is sharp and precise with the images being as well reproduced as you'd expect from any regular print run. Unlike the Corporate Punishment book there is zero bleed through to the other side of the page no matter how dark the image on the reverse. I will definitely be willing to buy more PDFs from Alderac if they're set up to POD like this. At some point I'll get around to reading the book and post a review, but I'm looking forward to it.